Product prices and availability are accurate as of 2019-04-16 06:54:17 EDT and are subject to change. Any price and availability information displayed on http://www.amazon.com/ at the time of purchase will apply to the purchase of this product. Whether it’s deep relaxation or quick refreshment, the PowerandSoul130 shower set does it all with ease and timeless style. A contemporary design with universal appeal, it comprises the sleek and slim PowerandSoul 130 hand shower, which features a 5-in.-diameter spray face and four spray settings: soothing Rain, which is wide and luxurious; GROHE Rain O2, a water-saving pattern of large, air-infused droplets; revitalizing Jet, a focused circular burst of water; and innovating GROHE Bokoma Spray, which mimics the experience of a fingertip massage. 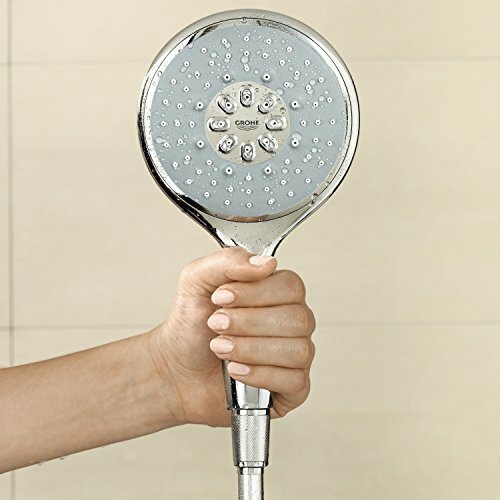 The hand shower comes with GROHE DreamSpray features advanced shower engines to deliver precise and consistent water distribution throughout any spray pattern for an unparalleled and custom showering experience technology to ensure uniform coverage. GROHE SpeedClean protects the spray face against limescale prevention. 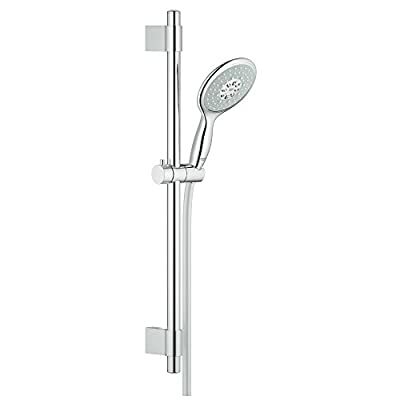 Also included are a shower bar, a swivel shower holder, a 69-in.-long hose and mounting hardware. 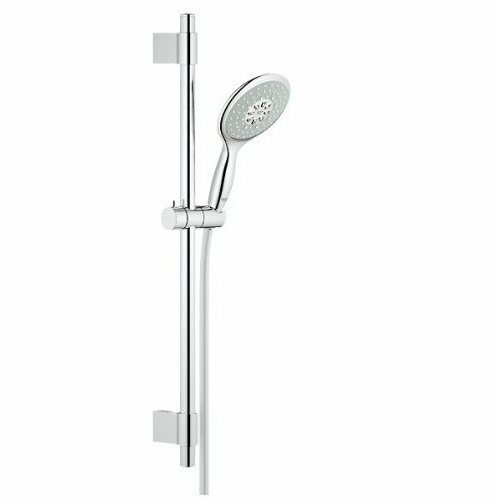 The PowerandSoul 130 shower set is available in sparkling GROHE StarLight finish for scratch and tarnish-resistant surfaces for a lifetime of beauty chrome.